In order to maintain the performance and style of your Hummer, bring your vehicle into the experts here at Eagle Automotive Service in Littleton, CO, when you need repairs or service. Hummer vehicles are a highly cross-functional vehicles built to provide a powerful driving experience. At our Littleton auto repair shop, we offer high quality Hummer repairs and services to keep your vehicle running in top condition. Our ASE certified technicians are specially trained and experienced working on all makes and models of Hummer. Our Littleton auto repair shop offers expert service and quality auto repair. Eagle Automotive Service has extremely skilled staff paired with the latest, state-of-the-art computer diagnostic equipment to accurately diagnose and repair your Hummer. 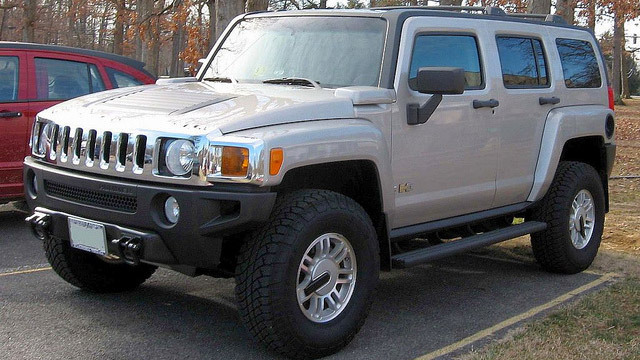 We have experienced technicians that specialize in both scheduled maintenance and major repairs on Hummer vehicles. In order to keep your Hummer running in top condition, regular inspections and maintenance should be performed. We work to accurately diagnose your vehicle, and afterwards we will discuss our recommendations with you and walk you through our service options. Our goal here at Eagle Automotive Service is to get you back on the road quickly and safely and to remain your trusted San Antonio auto repair shop for years to come. If your Hummer needs a repair or service, bring your vehicle to our experts at Eagle Automotive Service. We look forward to servicing your vehicle soon!